On 22 February the best European professional concrete cutters lined up against one another in the Tyrolit concrete sawing and drilling competition called Tyrolit Cutting Pro Competition. The event transformed the Innsbruck Congress Centre were 26 national champions from 14 countries competed in the final of the European Championship in wall sawing, core drilling and hand sawing. After an international qualifying period lasting almost three years, the championship title reached its explosive climax with Darius Janulis from Norway being crowned Tyrolit Cutting Pro Competition European Champion 2017. Martin Sponring from Austria and Jan Läderach from Switzerland were placed second and third. The moderators Margit Bacher and Markus Lewandowski opened the fourth Cutting Pro Competition with the competition’s well-known battle cry: "Ready, set - cut". 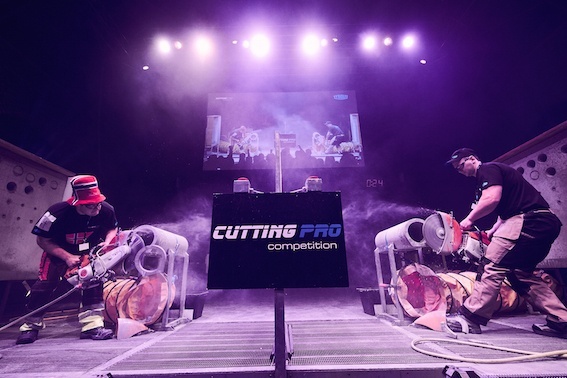 The participants competed against each other in pairs on the large stage, concentrated, focused and fiercely determined to conquer the thick concrete walls with the wall saw, core drill and hand saw and to do so faster than their opponents. Around 700 international trade visitors contributed to the extraordinary atmosphere and the energetic live music created the perfect context for this top Tyrolit event. All the information about the competitors, current best times as well as pictures and videos are available at www.facebook.com/cuttingpro and www.tyrolit.com/cpc. The major sporting event was accompanied by the Tyrolit Product Exhibition 2017, which introduced visitors to Tyrolit’s latest products, special construction projects and their large range of applications. A product highlight was Tyrolit’s Atex certified wire saw system. This is the only cable saw system in the world that can be used in areas with a high risk of explosion in Zone 1 (EX Zone 1, II 2G IIA c T3). There were also two lectures "Development in Concrete Technology. 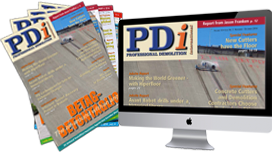 Where is the Journey Taking Us?” by Dr Klemens Maier, Technical Director of the Innsbruck Research Centre and "Concrete Processing: Past, Present and Future” by Jan Hermansson, editor in chief of PDi Magazine. Another popular attraction was the Tyrolit prize draw with prizes, such as a complete Tyrolit WSE811*** wall saw system.